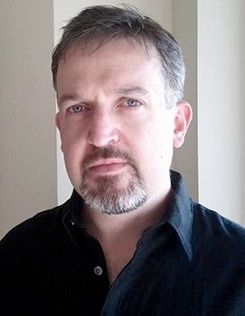 NEIL KRAMER is an English writer and philosopher specializing in the fields of consciousness, metaphysics, shamanism and ancient mystical disciplines. Neil has made a lifelong independent study of philosophy, mysticism, shamanism, religious traditions, inner alchemy, occultism and esoteric world history. He shares his path of transformation and empowerment in writings, interviews and lectures, as well as giving one-on- one teachings and group workshops. He is a frequent guest on leading alternative radio and internet shows, enjoying international audiences and enthusiastic support. His work is regularly published on cutting-edge web sites, news portals and popular media networks. His acclaimed essays and his audio book, ‘The Audio Cleaver’, attract large, discerning audiences around the world, as do his DVDs. His talks have been broadcast on cable and satellite television in the UK and USA. Neil speaks on many fascinating subjects and is renowned for his unique blend of lucidity, empowerment and authenticity. Themes explored include: spiritual philosophy, transcending control systems, the inner work, nested realities, purifying the vessel, the roots of mysticism, eschatology, paths to authenticity, encounters with paradox & phenomena and secrets of inner alchemy.